We are devotedly engaged in providing our clients with well tested Welding Safety Goggles that is applauded due to its striking features. - Spectacles with ir-11 lens for electric arc welding with flip up lens window and elastic head band with 99.9% uv protected scratch & impact resistant polycarbonate lens. 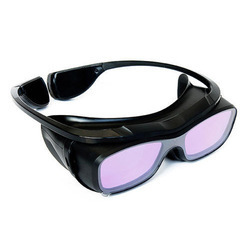 - Used at the time of arc welding for eyes protection. 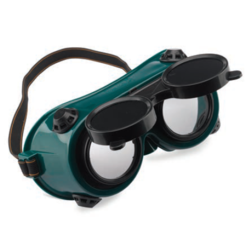 In line with client's diverse needs, we bring forth a distinguished collection of Welding Safety Goggle. Maruti Industrial & Engineering Co. Lift front goggle has shade #11 glasses filter with polycarbonate cover chipping lens.